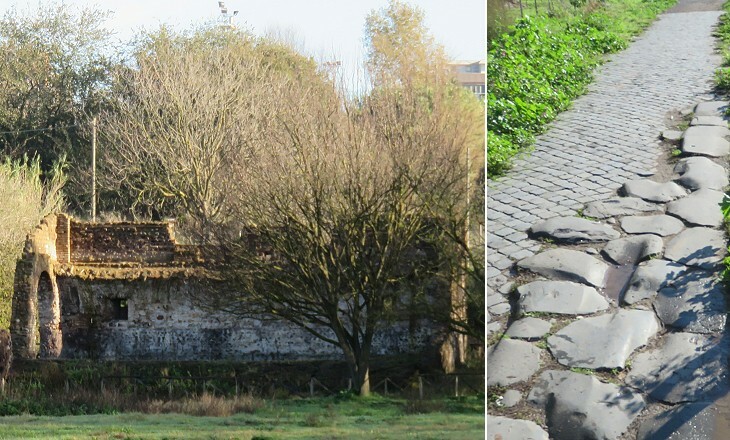 Valle della Caffarella and its main monuments are covered in a page dealing with the initial section of Via Appia Antica. The site, which still partly belongs to private owners, was opened to the public in the 1990s. 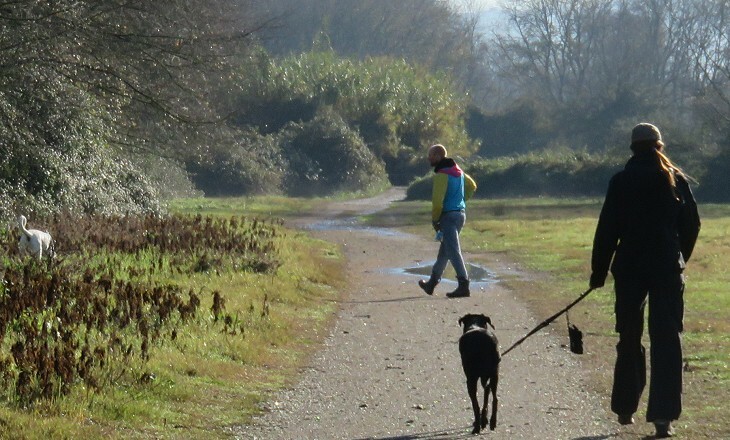 It has a relatively wild aspect unlike the formal gardens of Villa Borghese or Villa Doria Pamphilj and it is chosen by many people as a place to walk their dogs. 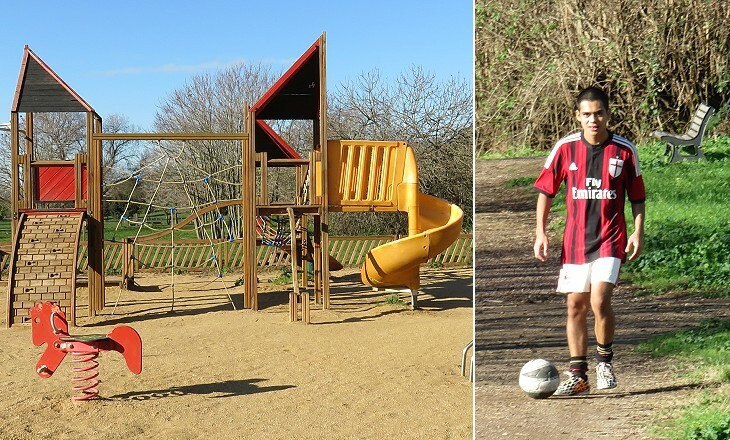 The photos shown in this page were taken in early December 2014 after a period of rainy days. The valley is named after Cardinal Scipione Cafarelli Borghese, nephew of Pope Paul V, who owned it in the XVIIth century, and it is limited by two parallel ridges where the ancient Romans built Via Appia and Via Latina. It is crossed by the River Almo, a small stream which turned parts of the valley into swamps and made it very unhealthy from the VIth century until the XIXth century. 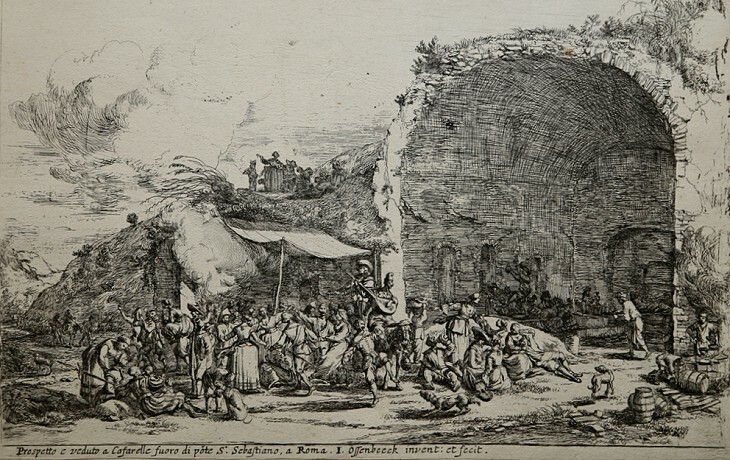 In the XVIIIth century many foreign visitors to Rome were attracted by the evocative aspect of the ruins at Valle della Caffarella. Before that period it was so abandoned that it was chosen by the Dutch/Flemish artists living in Rome for their festivals. They formed a brotherhood and called themselves Bentvueghels (birds of a feather). They had an elaborate rite of admission based on a long series of toasts which was performed at S. Costanza. They held their yearly festivals outside Rome to avoid being arrested by the papal police for drunkenness. These gatherings took place until the XIXth century when they included artists of other northern countries. The venue of the meetings was moved to Tor Cervara. 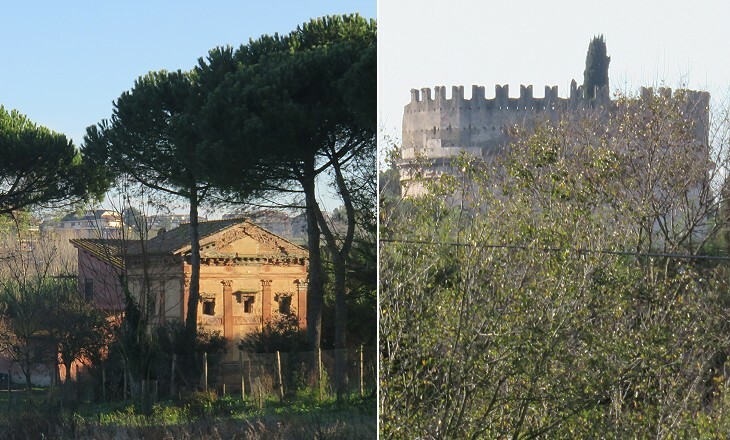 In the IInd century AD most of Valle della Caffarella was part of Pagus Triopius, a large estate which belonged to Annia Regilla and Herodes Atticus. 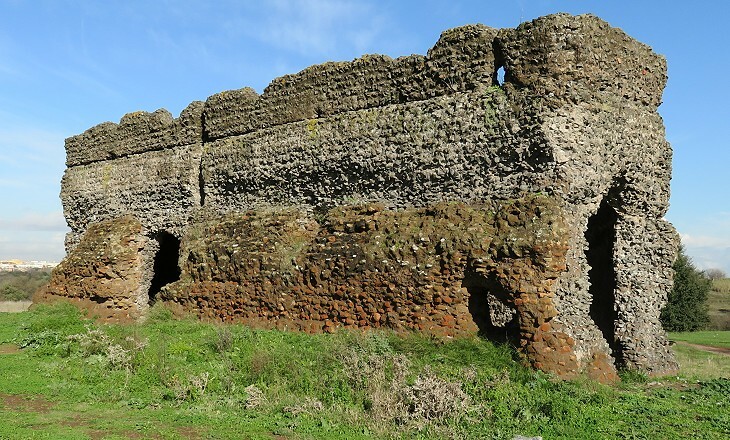 It included land beyond Via Appia and a villa, the baths of which were unearthed in the 1990s. A branch of the aqueducts carrying water to Rome supplied the estate. A large cistern at the top of a hill with a commanding view over Valle della Caffarella shows how effective Roman construction techniques were, in particular in the use of mortar. A number of ruined ancient buildings and other evidence of the past can be found at many points of Valle della Caffarella. A small archaeological area containing some interesting tombs is within easy reach from the Via Latina side of the valley. We had to traverse thirty miles of this Campagna; and for two-and-twenty we went on and on, seeing nothing but now and then a lonely house, or a villainous-looking shepherd: with matted hair all over his face, and himself wrapped to the chin in a frowzy brown mantle, tending his sheep. The Campagna, in the colourless even light, was more solemn and romantic than ever; and a ragged shepherd, driving a meagre straggling flock, whom we stopped to ask our way of, was a perfect type of pastoral, weather-beaten misery. He was precisely the shepherd for the foreground of a scratchy etching. Here (it may be within sight of St. Peter's and the Lateran basilica) does this rude servant of the soil spend the long seasons of his monotonous existence, till the summer-sultriness obliges him to migrate with his dogs and sheep. (..) Yet, despite his wild and savage aspect, this shepherd, on near approach, proves a harmless creature. 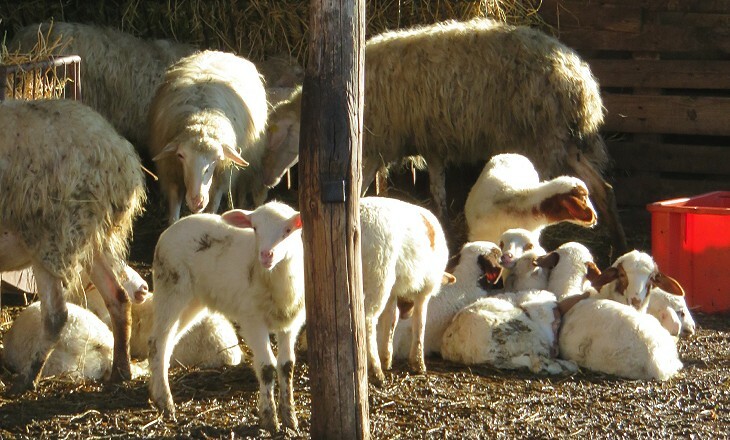 Travel accounts of the past always included some references to the shepherds of the Campagna (today they have been replaced by shepherds from Romania). 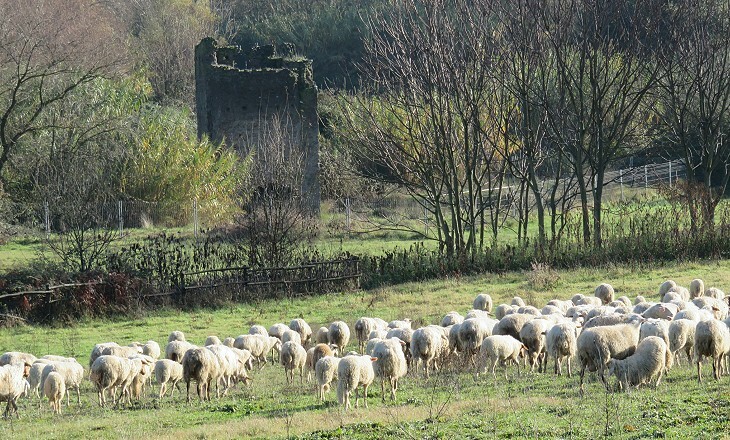 To see other sheep in the Roman countryside click here. Casale della Vaccareccia was built in the XVIth century and it incorporated a small medieval tower. 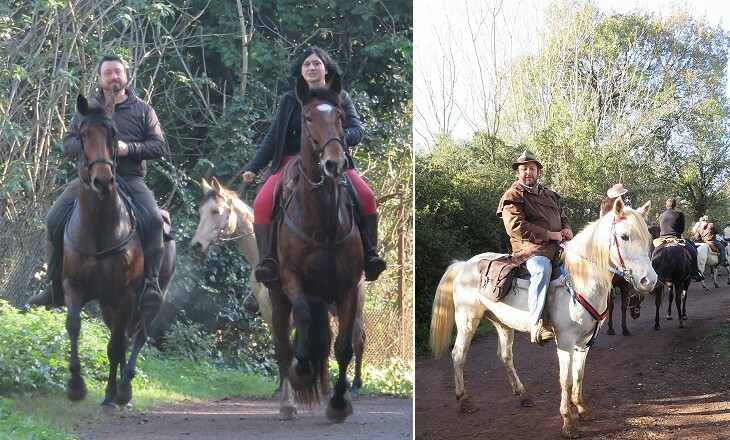 In 1816 it was bought by the Torlonia, who enlarged it by adding a stable. They owned most of the land along Via Appia. 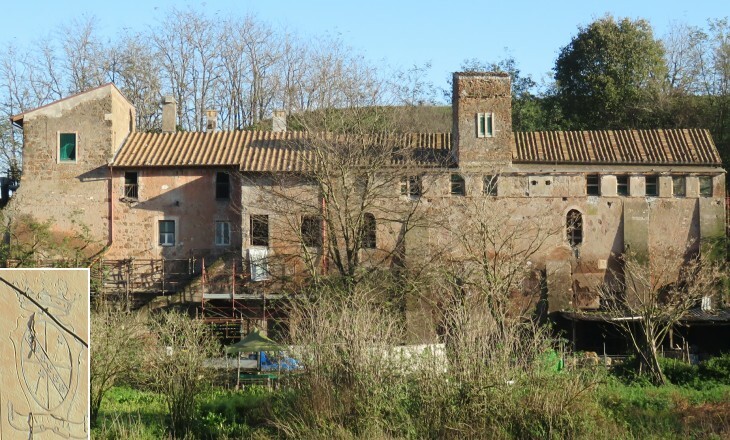 A section of Casale della Vaccareccia is still used for farming activities, whereas the major part of the building is being restored and will be used for public purposes. 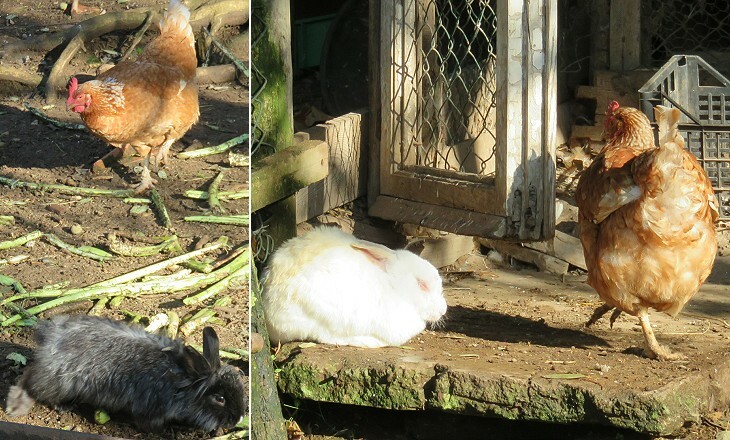 Farm-holidays have become popular in recent years because they allow children living in town the opportunity to watch at close range animals they have seen only in books. 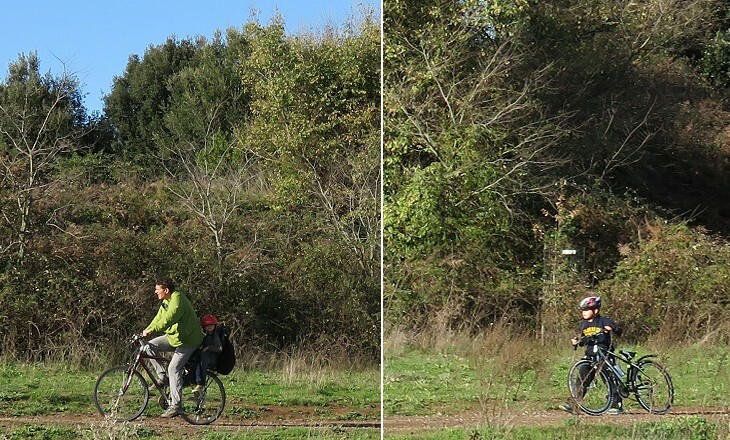 At Casale della Vaccareccia, which is not such a facility, one can capture the real thing. This very rural setting is only two miles from the Colosseo (as the crow flies). Owners of land in Valle della Caffarella have repeatedly requested to be allowed to develop their properties. It has been a long struggle which has not yet concluded, because laws protecting the historical landscape are being criticized as hampering the economic growth of the country and could be modified. Of all glorious things here I think a ride on the Campagna in the morning or the evening is the most beautiful. There one has Rome and Italy, the past and the present, all to oneself. Henry Adams in a letter of 1860. Horse riding is rather expensive nowadays, so it is easier to find bikers (and joggers) than horsemen at Valle della Caffarella. There are a number of paths reserved to them which pass near some of the ancient monuments. 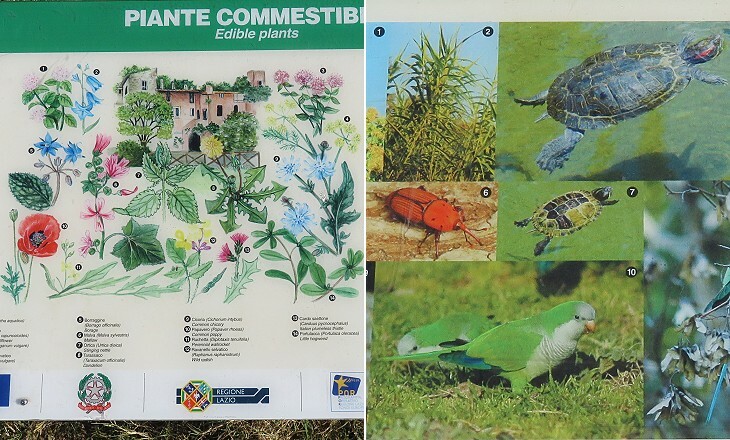 The area near Via Latina has been modified and has some of the facilities you expect to find in a city garden, including information on plants and animals living there.